Turtle Rock Terrace homes offer beautiful single family residences in the middle of the Turtle Rock community. Many of the homes in this area are ranch style homes that located on one level that can offer wonderful views of the Turtle Rock valley. The association amenities include pool, spa, barbecue area, sports courts, press and tennis courts. There are also a lot of hiking trails in the area. The award winning schools in the Irvine Unified school district are within a short distance from this neighborhood. 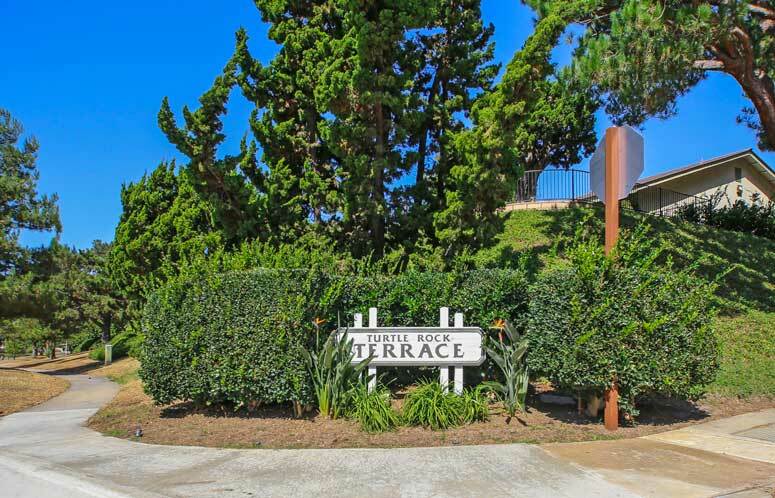 Please call us at 949-988-0605 to view any Turtle Rock homes.